"Which vanity and unbelief have brought the whole church under condemnation. "And this condemnation resteth upon the children of Zion, even all. "That they may bring forth fruit meet for their Father's kingdom; otherwise there remaineth a scourge and judgment to be poured out upon the children of Zion." (Doctrine and Covenants 84:54-58). 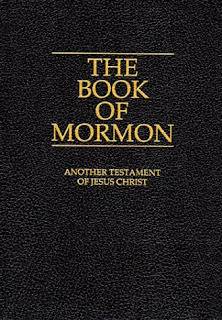 President Benson taught that the church was still under condemnation for failing to publish and promote the Book of Mormon. His message invigorated the church to greater efforts, to study and teach the scriptures, and to focus on the Book of Mormon in particular. President Benson's prophetic message was never exclusively on warning or calling the saints to somehow take action against secret conspiracies. The fact that he mentioned this concern in general conference certainly puts it in a catorgory of matters of abiding interest. But I cannot recall that he ever stipulated that messages about Gadiantons or secret combinations held the same weight of obligation or concern as other gospel messages. To me these messages were always of interest, but more by way of important information. I never felt motivated to get out and start rooting out the Gadiantons. What I heard was in the context of general direction to be active in local political interests, and to make sure the church was well represented at that level. Instead of questing for Gadiantons to unseat, I read the Book of Mormon. I believe my wife even read it once, for perhaps the first and only time in her life. This perception of areas of primary focus is bolstered by the general lack of reiterating any prophetic warnings to read Gary Allen's None Dare Call it Conspiracy, either by President Benson or any of the other prophetic leaders of our time. The fact that it was mentioned once hardly brings it into the range of primary interest. I think you're pretty well on your own, if you insist on asserting that the church is under any condemnation for not feeling vitally concerned about Gary Allen's message. Whether we accept the counsel and teachings of President Benson or any other latter-day prophets is another thing altogether. I think you're well justified in remembering and being aware of this matter, but you have gone too far when you project your private concerns into the scope of obligations borne by the entire church. Was there a CFR conspiracy to supress President Benson's statement? My guess would be that his comment about the "Dare" book was off-the-cuff, not in his text notes prepared beforehand. All the talks are supposed to be written down like that, because of programming time constraints for media broadcasts and etc. It seems not everyone is strict about following the prepared text. I'm sure they sometimes jot something in the margin while they're waiting to speak. I always do that with my talks. I'm pretty certain that the Ensign version of the talk is transcribed from the prepared text. President Benson's talk is not the only one I've seen where the address delivered in conference differed from the later-published Ensign version. BTW, does anyone recall when Lavina Anderson was on the Ensign staff? timely counsel to the church. When I was young, growing up in the Los Angeles area, my dad was in the bishopric for many years. Making the trip to LDS General Conference in Salt Lake City was a common observance. Going to the Tabernacle and sitting at the feet of the church leaders was one of the best ways to hear inspired counsel. Now we tune in on satellite broadcasts without even leaving the neighborhood. One of the early exercises we undertook on John Redelfs' Zion list was directed toward sharing the conference messages. One of our members took it upon himself to copy his detailed conference notes to the list. Later we took it upon ourselves to transcribe conference talks from _Ensign_. Each of us picked a talk from the conference to type in and share online. Just a short time after we implemented this practice, the church started making the conference texts available online. It was actually a pretty surprising coincidence. An idea whose time had come. Computers and word processing programs, together with world-wide telecommunications facilities, have truly changed the way we listen to a prophet's voice. Here is an excerpt from a talk by President Benson in which he specifically addresses the concerns we have been discussing. A great talk -- I think it is perhaps one of the best treatments of these issues, and lays it out in good perspective. His counsel is directed to priesthood holders, but seems generally applicable. I note that he explicitly asserts that for each of us, "putting our own house in order" is the highest priority. And he outlines a number of things that have been common and consistent in prophetic counsel for many years before, during, and since President Benson's administration. 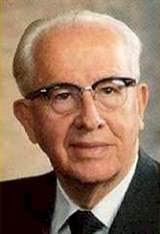 The Foundation for Economic Education at Irvington-on-Hudson, New York, on which President J. Reuben Clark, Jr., served as a board member, continues to supply sound freedom literature. We should know enough about American free enterprise to be able to defend it. We should know what makes it possible for six percent of humanity-living under our free economy-to produce about one-half of the earth's developed wealth each year. Second, we should accept the command of the Lord and treat socialistic communism as the tool of Satan. We should follow the counsel of the President of the Church and resist the influence and policies of the socialist-communist conspiracy wherever they are found-in the schools, in the churches, in governments, in unions, in businesses, in agriculture.